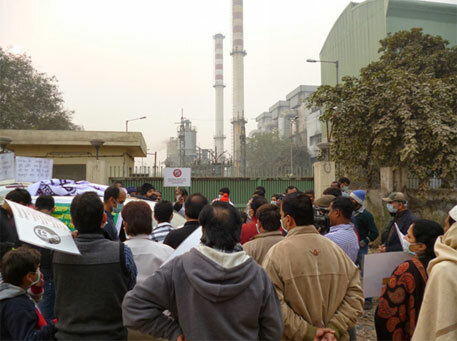 With due regards this is to draw your immediate attention towards the ongoing protests against waste incinneration based thermal power plant of Jindal's company located at Sukhdev Vihar, Okhla, New Delhi in order to save present and future generation of residents from being enveloped in a toxic gas chamber as a consequence of use of hazardous incinerator technology adopted for generating energy from waste which admittedly has hazardous waste characteristics. I submit that India being a signatory to United Nations Framework Convention on Climate Change,(UNFCCC), Kyoto Protocol, Doha Amendment to Kyoto Protocol and Paris Agreement is under an obligation to refrain from promoting waste incineration because under Annexure A of Kyoto Protocol waste incineration is listed as one of the key source of green house gases. I submit that a White Paper available on the website of Union Ministry of Environment, Forests and Climate Change states that Indian municipal waste is not suitable for energy generation because of its low calorific value. All the six such plants including the Okhla one set up in the country merit probe. I submit that the waste incinerator technology in question emits toxic gases like Dioxins which was used under the brand name "Agent Orange" by US Government against Vietnam as a chemical weapon during US-Vietnam war. It has been admitted by the Union Minister of Environment i the Parliament. Even the Environment Impact Assessment report of the project in question refers to the toxic gas in question. India being a signatory to UN's Stockholm Convention on Persistant Organic Pollutants (POPs) is under an obligation to eliminate Dioxins like POPs. I submit that adverse impact of use of POPs on ecosystem abd human health is still being studied jointly by USA and Vietnam. The continued operation of such a plant tantamounts to exposing residents of the national capital to war chemicals in times of peace. The project also emits heavy metals like Mercury. There is no way to segregate mercury from the mixed waste which is being usec as fuel. 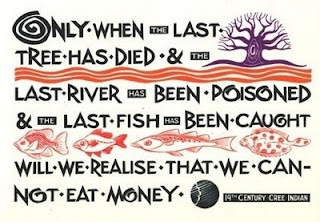 India being a signatory to UN's Minamata Convention is duty bound to stop such practice. I submit that given the fact that air pollutants are passengers without passports it affects not only the residents of Okhla but also the entire national capital region amidst conclusive evidence of deeply disturbing health impacts of capital region's air pollution load which has set alarm bells ringing all over the world. The cumulative load from such plants in the region cannot be ignored. If public institutions like the Hon'ble Commission do not intervene to protect the health rights of residents including the members of the Commission it wil end up delegitimizing itself. In view of the above, I earnestly request the Commission to intervene at the earliest with its recommendations.